Sweet Caroline! Summerfest has announced the second Marcus Amphitheater headliner for Summerfest 2012! 70 year old singer Neil Diamond will be performing at the Marcus on the final night of Summerfest, July 8th. You can get your Neil Diamond Summerfest Tickets from Ticket King Milwaukee as soon as they become available. 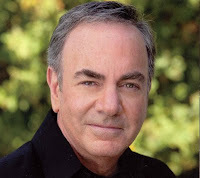 Neil Diamond's tour will promote his latest album, "The Very Best of Neil Diamond: the Original Studio Recordings" which will feature 23 of his greatest hits. Diamond will also be honored at this year's Kennedy Center Honors in early December. This should be a fun concert especially since Diamond's hits have entertained fans for such a long time.